has appealed to countless generations of people. 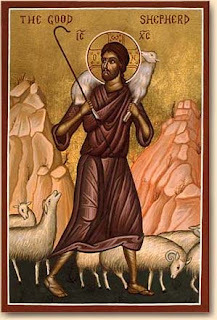 is that the good shepherd puts his life on the line for the sheep. in that he laid down his life for us. Is this how our relationships are characterised? By the fact that we put our lives out there for those we love. we can make the mistake of thinking that our spouse is there to fulfil us. our life is at the service of those who we are called to love. the Spirit invites us to ‘lay down our life’. Is there someone whose life is our to care for? How do we serve the other? but to a genuine disposition of our life. The Good Shepherd lays down their life?